17 of Toronto’s top chefs, restauranteurs and baristas have come together under one roof, in Canada’s first chef-driven community market. Our Academy proudly invites you to experience a variety of cuisines, directly from their kitchens. 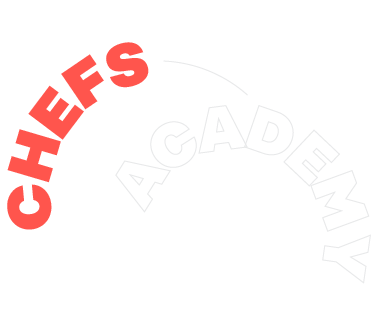 Expect to experience some of the city’s very best, including global cuisines from the following 17 Academy members. Noticing a growing market for on-the-go health foods that taste great, Kate Taylor Martin left her Public Relations job at St. Michael’s Hospital to become a holistic nutritionist. Conducting focus groups in the neighbourhood, Kate developed Nutbar - a concept where customers could get coffee and delicious eats, all without the added white flour and sugar. Lawrence LaPianta has been cooking barbecue for over two decades, perfecting the craft of traditional, wood-smoked BBQ. In 2016, expert Pitmaster Lawrence La Pianta opened Cherry Street Bar-B-Que – bringing what he calls “Toronto style barbecue” to the Toronto’s Portlands. Just three years after taking her first restaurant job in the kitchen at North 44, Mark McEwan made Chef Ivana Raca his first female saucier at the young age of 20. Presently running Raca Catering and Dundas West’s Ufficio, Ivana has teamed up with Chopped Canada’s Brad Smith to bring you “free spirit food”. Handcrafted using only the finest ingredients including pure vanilla, Belgian chocolate, fresh berries and mouthwatering citrus. Topped with sweet buttercream, colourful sprinkles and Belgian chocolate shavings, Short & Sweet provides a perfectly delicious take on your favourite homemade classics. Executive Chef Ariel Coplan began his love affair with food at a young age - from the age of 16 he knew his destiny was to be a chef. Starting in the kitchen of George Restaurant in Toronto, he quickly realized traveling would help him master his craft. With locations in both the east and west ends, head barista Laura Thiessen is excited to lead her team’s brand – Tokyo Smoke – in the financial district. Driven by design, her team is ushering in a new era of high end coffee and its signature collection of smoking accessories. Tokyo Smoke is for the sophisticated smoker, those who embrace beautiful design along with alternative states of mind. After working for several years as a banker and stockbroker, Stuart Ross began walking dogs to clear his mind. Upon strolling by a ‘For Lease’ sign in 2003, Stuart walked in, jumped at the opportunity and, just like that, Bulldog Coffee was officially born. With 17 years in the culinary field, leading several successful kitchens (Epic, the Chase, Colette Grand Café) and discovering an increasing passion for responsible, sustainable and healthful food as a way of life, Chef Amira Becarevic has branched out to open her own catering company in Leslieville and flagship location of Mira Mira at Assembly Chef’s Hall. Currently leading the dynamic, diverse and innovative teams at Born & Raised, Do Not Disturb and The Good Son Restaurant, Chef Vittorio showcases international culinary experience balanced with an undying pride for his roots in Southern Ontario. After accomplishing a series of wildly appreciated pop-up shops under the name GwaiLo, Chef Nick Liu went on to open his current project: DaiLo. Specializing in New Asian Cuisine, DaiLo has gained critical acclaim, including making the Top 100 Best Restaurants in Canada list, two years in a row. Executive Chef Koji Zenimaru began his culinary career in Japan at the age of 16. He describes his style as bold, unique and one that can be easily recognized in each of his original Ramen Isshin flavours. With a dream of bringing authentic Mexican cuisine to Canada, Chef Elia Herrera is now executive chef and partner at Los Colibris and El Caballito – adding Colibri to her impressive roster of Mexican concepts. Chef Jackie Lin brings two new concepts to downtown Toronto, Tachi & Shari, offering Japanese cuisine consistent with his passion for excellence and authenticity and his desire to share traditional Japanese fare and food culture with his customers. With a strong belief that food and family are the two constant factors that we can all relate to all around the globe, Chef Paul opened Love Chix – a place where friends, family and colleagues can all enjoy great food and drinks with the people they want to be with most. Growing up in Bangkok, Thailand, Chef Chantana “Top’s" mother taught her to appreciate and love food from a very young age. Currently leading the kitchens at Toronto favourites – Khao San Road and Nana – Chef Top brings their newest offshoot – Little Khao – to the heart of the financial district. Growing up in Siberia, Elena and Andrey would spend summers helping their grandparents on their little farm, growing various vegetables and fruits. Best-known for their vegan, gluten-free organic options - Hibiscus continues to be a top destination for Toronto health-enthusiasts.